High Quality versions of all of the images for TAG - Thinking with Paint as of time of release, brought to you in one small package. Feel free to use some of them as wallpapers, but beware of the larger ones: If you have a low resolution display it is recommended that you resize them yourself. TAG - Thinking with Paint is a Work-in-Progress Source SDK project based on Portal 2's engine, designed as a tribute/prequel to TAG: The Power of Paint. Want to help with or learn more about the project? If so, Click Here. TAG: The Power of Paint was developed by the Tag Team at DigiPen in 2008. 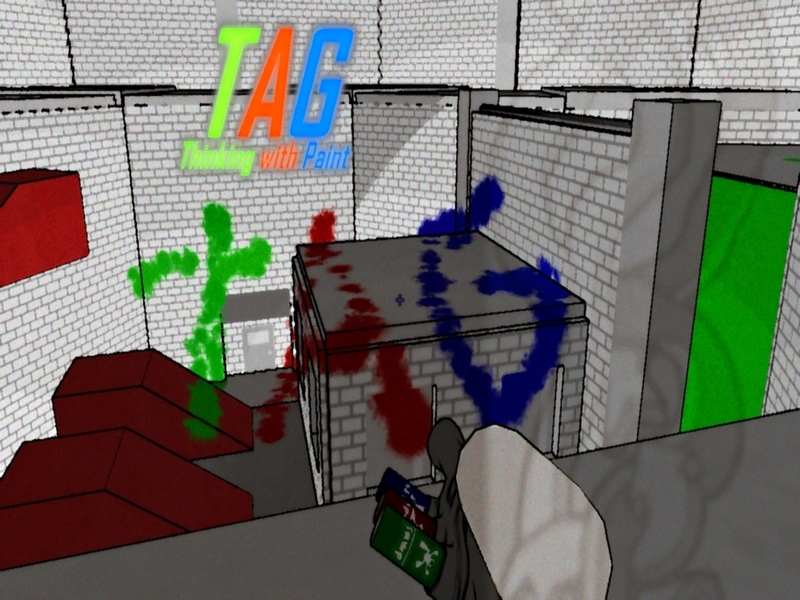 In TAG, you run around a monochromatic city trying to reach the end of each of 9 levels, with the only tool to aid you being what is essentially a Super Soaker filled with Paint. You had four paints in your arsenal: Bounce, Speed, Stick, and Erase. The Tag Team was subsequentially hired by Valve in 2009 to help develop the Gels in Portal 2. Download TAG for Free on the Official DigiPen Website. Want to learn more about TAG? Click Here. Note: All of these images, with the exception of the logo and the wallpaper, were made for development purposes only. The wallpaper was made using the original TAG, plus editing software. For clarification purposes, it is recommended that you read the full description. This is also so you understand that I still give full credit to the TAG Team for the original game, and that TAG - Thinking with Paint is not the exact same game.